The Mi 6 was the only dual-camera phone offered by Xiaomi. 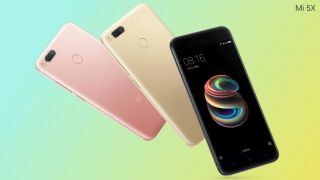 However, the company recently unveiled the Mi 5X, which could make its way to the Indian smartphone markets by September. The Mi 5X is a slightly upgraded version of the Mi 5, with dual rear cameras on board and some other key hardware changes. Xiaomi has been in a denial mode for the the Mi 6 in India given that it was originally launched a few months ago. If launched, the flagship will compete against the OnePlus 5 which is already doing well in the market. Also, if we recap, Xiaomi may not want to play the Mi 5 gamble again. With the Mi 5X already available in China, it’s safe to assume that it will break cover in India as well. The Mi 5X is packing a 5.5-inch Full HD (1920x1080) display, 64GB of expandable storage, 4GB of RAM, along with the octa-core Snapdragon 625 processor. As for the cameras, the phone comes with dual 12MP rear cameras with an aperture size of f/2.2. The camera will also come with 2X optical zoom. There’s going to be a solitary 5MP front facing camera for selfies and videos. The phone is also packing a USB C port, a rear mounted fingerprint scanner and Android 7.1.1 Nougat with MIUI 8. Powering the phone will be a 3,080mAh battery under the hood. Xiaomi will sell the handset in Black, Gold and Rose Gold color variants. We expect to hear more about the Indian launch of the Mi 5X as we inch closer towards September.